Based on the acclaimed New Yorker short story by T.C. Boyle, THE LIE is a candid, yet charming look at how a seemingly harmless and momentary lapse of judgment can lead to life-altering calamity. Lonnie (HUMPDAY’S Joshua Leonard) and Clover (TEETH’S Jess Weixler) were once young idealists — destined to change the world, until an unanticipated pregnancy derailed their plans. Instead of making their mark, the pair finds themselves trapped in a bourgeois nightmare, hosting BBQ’s and arguing about organic diapers. Clover is in her final year of law school, while Lonnie, stuck in a nine-to-five routine, remains in a daze about the artistic lifestyle they were forced to abandon. Deciding he needs some time away from his soul-sucking job to renew his stalled aspirations, Lonnie calls in sick and creates a shocking lie to justify his absence. Swept away in a series of misadventures beyond his control, he attempts to close the Pandora’s box, but finds that it is too late. As Lonnie’s crudely constructed lie begins to unravel, THE LIE takes us on a journey of self-discovery as it astutely examines what it means to be an adult, and the steps we all take to get there…eventually. Storytelling in all its forms is skewered in THE CATECHISM CATACLYSM. In this divinely bizarre and funny tale, wild characters infuse stories within stories until the lines between the Bible,Mark Twain, and campfire tales are hilariously blurred. Father Billy (Steve Little), an eccentric young priest, is forced to take asabbatical by his superiors when he is discovered telling inappropriate parables to his flock. 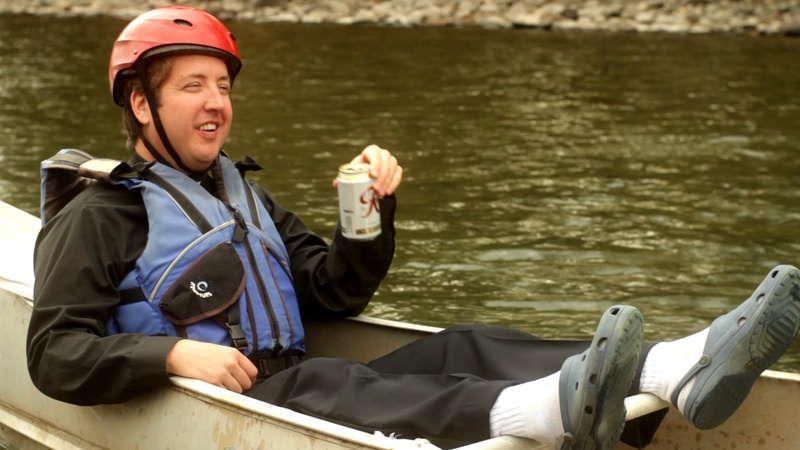 Billy tracks down his high-school idol Robbie (Robert Longstreet), who begrudgingly agrees to a canoe trip. On the water, the two men reminisce about Billy’s days as the keyboardist in a Christian band and Robbie’s as a guitarist for a metal band. When night approaches, they realize they have lost their way–and that’s when things get weird. 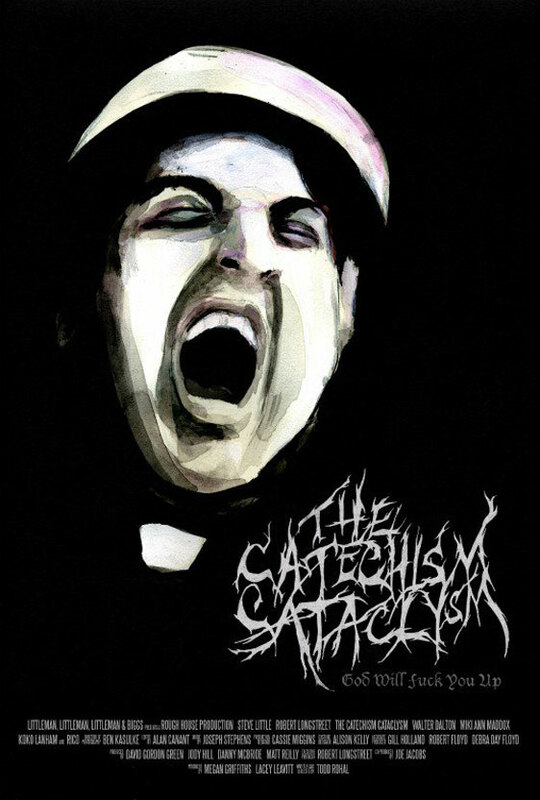 THE CATECHSIM CATACLYSM premiered at the 2011 Sundance Film Festival and was also shown at the 2011 SXSW Film Festival.